of a Lady 131 years ago today. 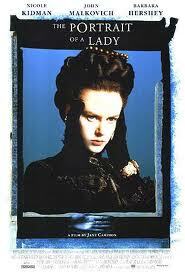 Henry James movies based on books Nicole Kidman Portrait of a Lady screen adaptations. Ooh. I missed this one. Nicole Kidman looks imposing. Paulita:I missed it too; definitely one to rent. Kathy: I like the idea of her reputation for reading 'hanging' about her like a cloudy envelope. You can see her shrouded in a bookish fog.